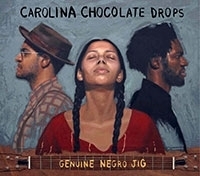 We hope you have had chance to check out the Carolina Chocolate Drops‘ debut on Nonesuch. We’d love it if you could make it a Top 5 Add for your station this week. All tracks are FCC Clean. If you missed their live performance and interview on NPR’s All Things Considered, you can go here for the archive.